Danny Stratton is the boss of SMART, a small security company specialising in transporting high value pieces of art. When his team is hijacked and a valuable Van Gogh stolen from his custody, it not only wrecks Danny's confidence but also makes the police suspicious that he was involved in the theft. 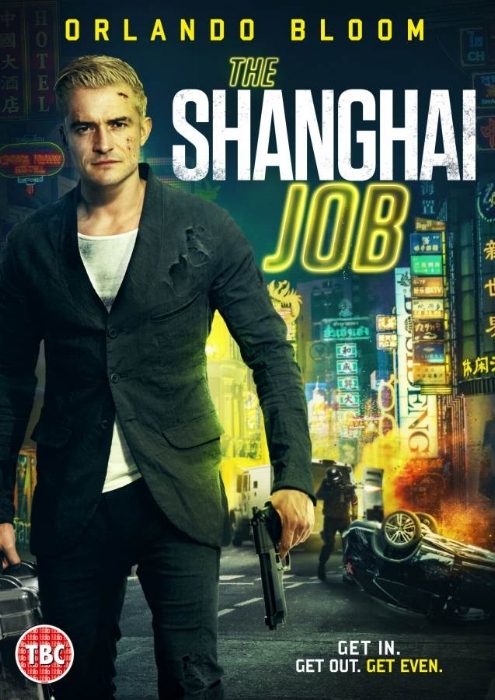 The Shanghai Job, formerly known as SMART Chase, is a very entertaining hybrid of a film, starring two big names from both Hong Kong and England, and situated in Shanghai, and packed with decent looking action. Bloom certainly makes for good, glamorous eye candy, and he fits in well with his Asian Counterparts. Ably backed up by Simon Yam, who gets to exercise his English language skills, and the cute duo of Ling and Ding Dong. The quartet are a believable team, each with their own skill-set. The plot is relatively straight forward - essentially a series of chase sequences to get/keep hold of the vase and to regain the Van Gogh. 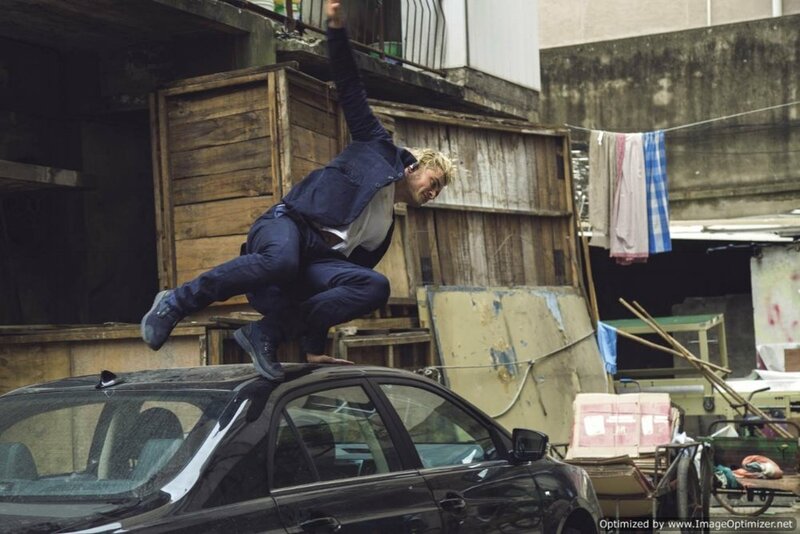 Luckily those chase sequences are done really well, especially the first attempt to get the vase, which is a really cool set piece laden with stunts. Orlando does get to mix it up a bit and handles himself reasonably well, but is left for dust by the rest of his team. There are a couple of things that need to be pointed out. Firstly, this film is mostly in English - not surprising considering its star and director are both English, but it does force other characters to try and not mangle their lines. The second thing that needs to be discussed is the use of remote-control drones. Personally, I am now officially sick of seeing them in films. A huge part of Shanghai Job is given over to Ding Dong and his drones - they're useful of course but do we constantly need to see them? In fact when you start to think about it what we are seeing is a drone....being filmed...by another drone. This isn't going to tax anyone's brain but it is easy, breezy fun. The stunt sequences are thrilling, the cast work well (its good to see Orlando Bloom partnered with Simon Yam!). While the over use of shots of drones and people controlling drones is annoying (to me), the film delivers charm and excitement.